Powered by an internal lithium battery for standalone operations or an external 6 – 36VDC power source, the ModQ Sentry Modbus Flow Totalizer provides a local display along with a Modbus RS485 data port to integrate with PLC/SCADA and DCS systems. The ModQ Sentry maintains an internal thirty-day log of daily flow totals for historical analysis or backup storage. The ModQ is pending Class 1 Division 2 certification for usage in hazardous locations. Packaged in a high-strength, polycarbonate housing rated NEMA 4X, the units are weathertight and rugged to withstand demanding outdoor environments. Easy to configure with local LCD and push buttons (or by using the SignalFire user-friendly ToolKit), the ModQ is ideal for data management of turbine flow meters in new and retrofit installations for a variety of industrial applications such as oil & gas, metals & mining, water & wastewater, chemical, power, food & beverage, pulp & paper, aerospace, and pharmaceutical. 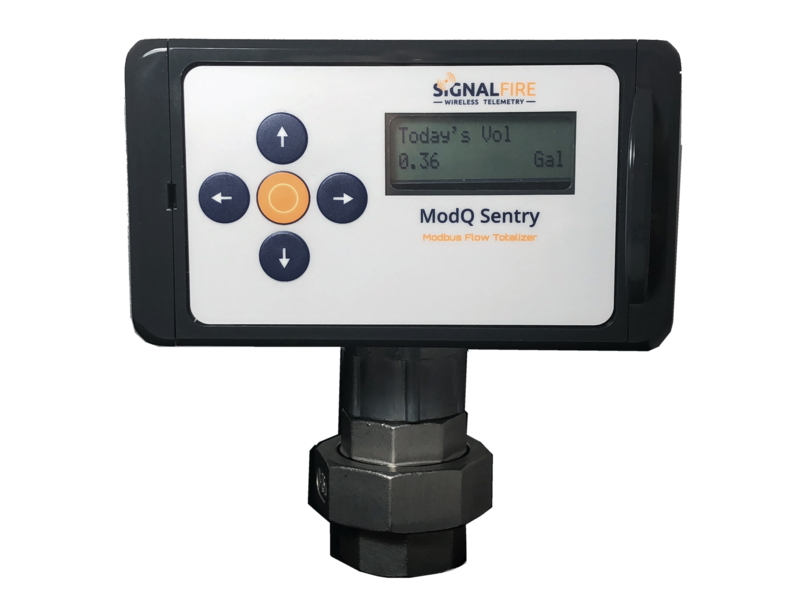 For more information on the ModQ Sentry Modbus Flow Totalizer, refer to the SignalFire at https://www.signal-fire.com/ or contact support@signal-fire.com.